I want to use ODMS or SpeechExec Pro with Dragon Individual v15—to automatically transcribe my downloaded dictations. Unfortunately, I can’t get Philips/Olympus to connect to Dragon. At this time, Dragon Professional/Legal Individual v15 does not support background transcription with Philips or Olympus software. 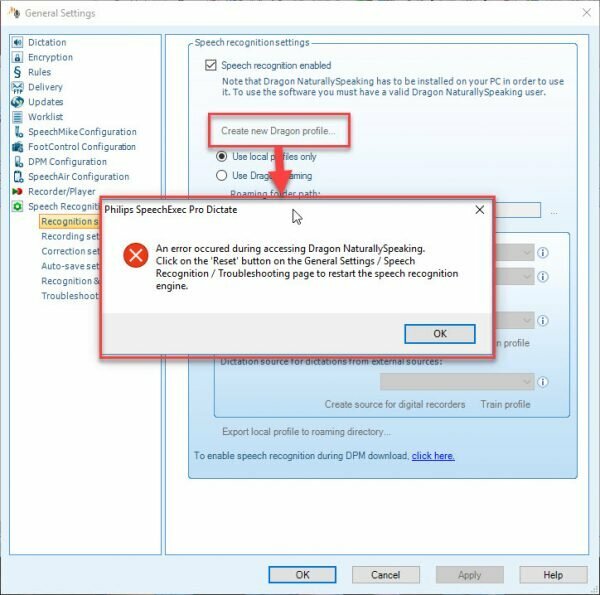 After extensive testing, we have found that, while Philips SpeechExec Pro v8.8 still does not officially support Dragon Professional Individual v15, the two applications are now working together for the purposes of background speech recognition. Please note that we have only tested this in Windows 10. In order to achieve this, you will need to download and install the latest Windows 10 updates (at least KB3209498 or later). SpeechExec Pro v10 officially supports Dragon Individual v15. Olympus released Patch 0012 for ODMS R6.4, which includes support for Dragon Professional/Legal Individual v15. 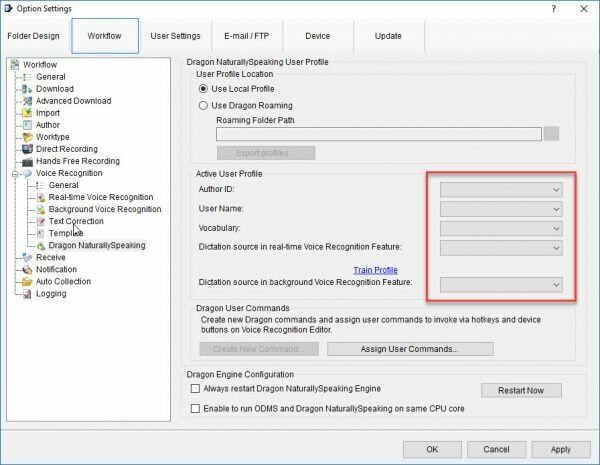 Philips SpeechExec Pro Dictate v8.8 may not recognize existing Dragon v15 profiles. The fields where the profile usually auto-populates might be greyed out. The application does give you an option to create a profile, but when you click on “Create new Dragon profile…,” you may receive the error below. See the update directly above for details. SpeechExec Pro Transcribe v8.8 will allow you to pick a profile directory, but may not recognize the Dragon v15 profile. Again, refer to “Update 1/10/17” above. The Olympus Dictation Module, ODMS v6.4 patch10, produces similar results. It does not recognize Dragon v15 as being installed. It also causes Dragon to crash when attempting to switch from a local to a roaming profile location—without popping up any error windows. The Olympus Transcription Module only allows you to pick a profile directory, but does not recognize the Dragon v15 profile. 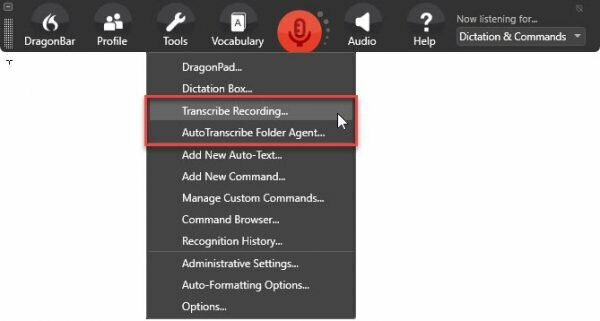 Dragon Professional Individual v15 will transcribe Philips and Olympus dictations when using either the “Transcribe Recording” function or the AutoTranscribe Folder Agent (ATFA). 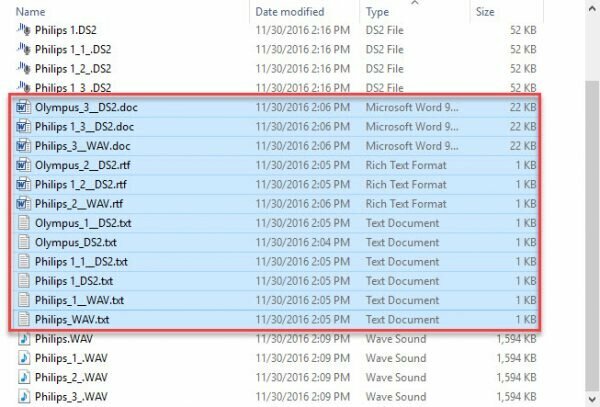 These are accessed working directly in Dragon v15. If you go to Tools > Transcribe Recording on the DragonBar, it produces a transcribed document and a .DRA audio file. Open the document and use the playback function on the DragonBar to listen to the dictation. The AutoTranscribe Folder Agent provides similar results. You can choose to have the recording transcribed as an .RTF, .DOC, or .TXT file, as well as generate a .DRA for playback. To enable .DRA files, go to Agent > Options in the ATFA menu bar. Need Help Using Dragon With Philips or Olympus Software? If you need help getting Dragon speech recognition connected to a Philips or Olympus dictation solution, we’re here for you. 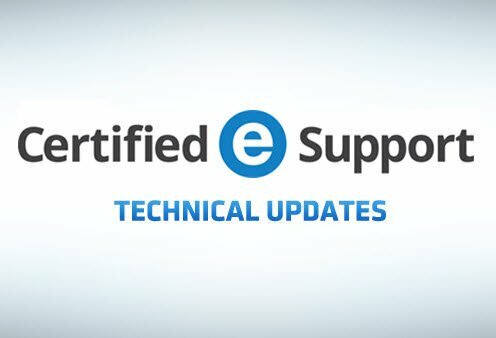 Click the button below to review our menu of training, installation, and support services.